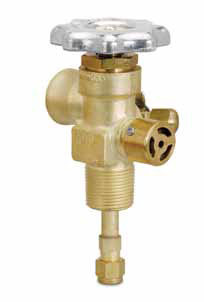 These low pressure diaphragm valves made from brass by Sherwood are especially designed for use in liquefied gas applications that include flammables and refrigerants while they are also suitable for use with butane, propane, and fuel-gas applications. The Non-flammable Diaphragm Valves are also used with sterilant gas applications. At Evergreen Midwest, we ensure that our valves are manufactured under strict vigilance and comply with the most stringent valve manufacturing guidelines and specifications.